Deborah Martin launches a new series of Spotted Peccary releases entitled Selections. These name-your-price collections offer thoughtfully crafted journeys through an artist’s catalog. Featuring tracks from each release, the Selections albums offer a panoramic overview of the musical paths an artist has traveled so far, and a new perspective on the creative threads that weave through each artist’s work. 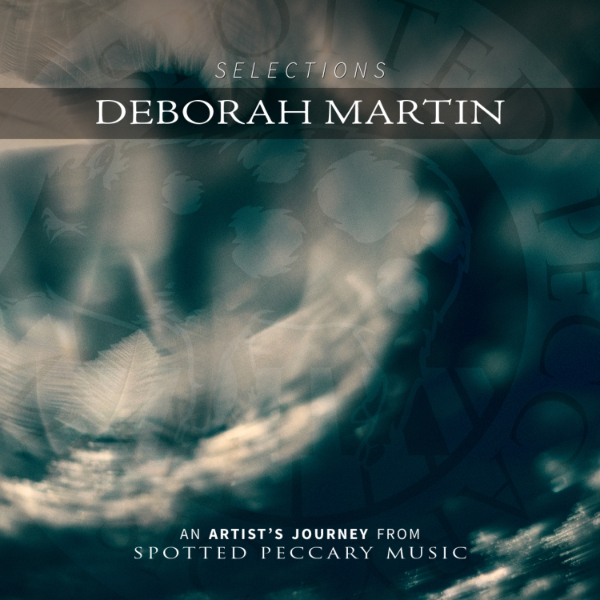 Whether collaborating with other artists or working on her own projects, Deborah Martin always inspires listeners with her graceful musical journeys through the past and present.This name-your-price offering brings together an exceptional collection of Deborah Martin tracks – one from each of her nine Spotted Peccary releases – and spotlights Deborah’s unique way of blending ceremonial, classical, electronic, and ambient elements into intuitively-crafted compositions.